Chassis Stiffening : The Basics - Time Attack® - It's not racing... It's Time Attack!! Earlier in the year we shared an article on the basics of aero performance and next up is the beginners guide to chassis stiffness. As good as your suspension may be, if your chassis is soft as jelly your car won’t handle and in this installment we share a little more about the basics of how to achieve a stiffer chassis so you can make the most of everything else on your car that’s bolted to it. The basics of chassis stiffening is the fact that various car components, especially suspension and tyres, but also your brakes, transmission, and even engine, are all only as good as the chassis it’s all bolted to. If parts of your chassis can twist or move under hard cornering or braking, your suspension geometry will become far from optimal, which in turn means your tyres will be either facing the wrong direction, at the wrong angle, or both, screwing up your handling and braking grip. If your chassis is soft and floppy, the twisting force of the engine and transmission when accelerating hard can not only twist the chassis and make your suspension geometry completely wrong, but it can actually twist so much it can rip the diff and even engine mounts clean off the chassis in some extreme cases. The final main advantage of a stiff chassis is safety. A car with a weak soft chassis will buckle and bend with even the lightest hit, whereas other cars are built like tanks. This not only has an effect on your safety in a crash, but if you do have a bump, a chassis that doesn’t crumple like tin foil means you’re less likely to end up with a write-off from a minor accident. 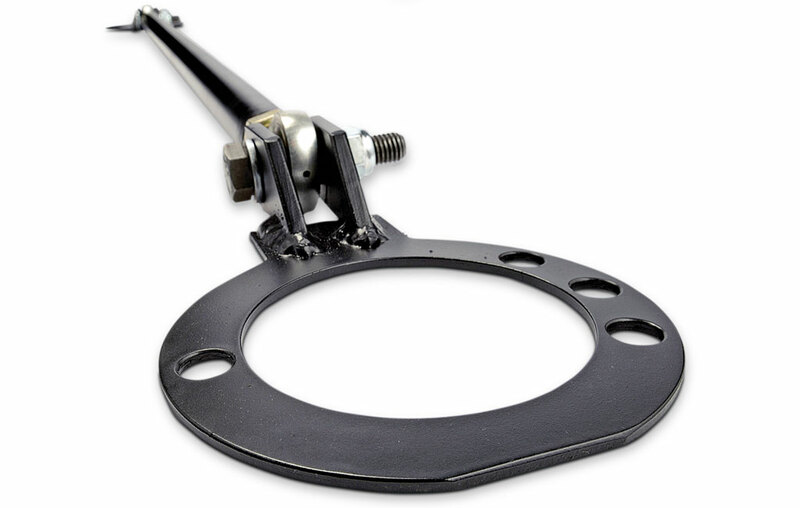 These work in a similar way to strut braces, simply bolting on to existing points on the chassis, but rather than preventing the upper and lower suspension mounts from moving, these are designed to prevent other parts of the chassis from moving. 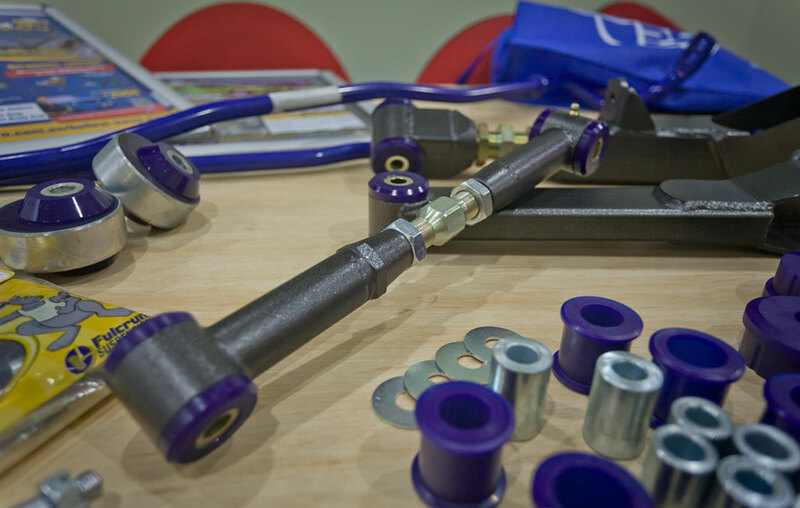 Depending on the car, there are stiffening bars available for almost every part of the chassis imaginable, some highly effective, like the quality Do-Luck items shown in this picture, some not-so. While these bars aren’t as effective as a good roll cage, and simply add rigidity to help handling, rather than also adding safety, they’re a good option for a road car where you don’t want a massive climbing frame of a roll cage filling your interior. This is the most basic kind of chassis stiffening, and quite a lot of performance cars come with these as standard. These are simply bars that go between the top and sometimes also the bottom suspension mounts, helping resist suspension mount flex when hard cornering, keeping the geometry at optimum angles and generally sharpening up the handling. Strut braces are cheap to buy, easy to fit, and I’ve actually done a back to back track test and proved they really do make you quicker on track; just don’t expect to magically have a race car just by fitting a pair of strut braces. 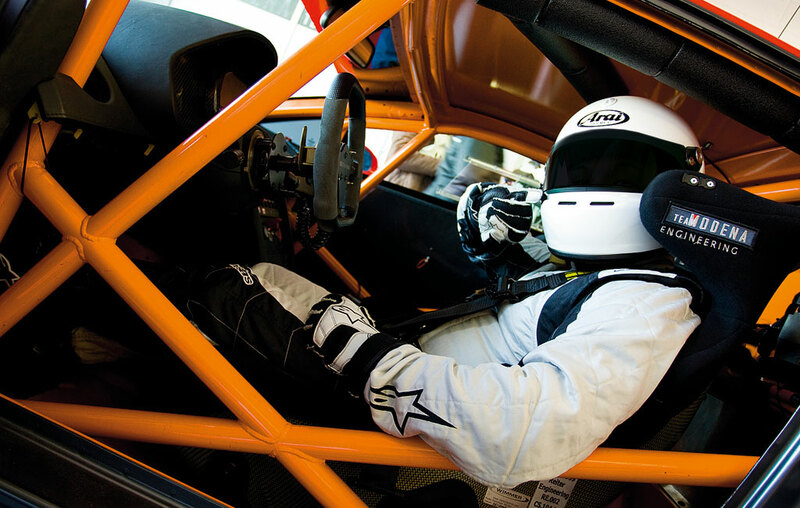 Forget a few simple bolt-on braces, a roll cage is the real deal of chassis bracing, and a vital part of any track car; partly to satisfy safety regulations, partly to massively stiffen up a car’s chassis. Roll cages vary from basic bolt-in rear cages, to full bolt-in cages, and even extreme cages that tie in every vital part of the chassis including the front suspension towers; making for a hugely rigid chassis that massively improves the steering response and handling. A good roll cage can often save the occupants in even the most extreme accident, but don’t think just because you have a cage you’re invincible, as you’re really not. And show cages? Well in some instances they can be more dangerous than not even having a cage, so don’t even think about it. This is getting extreme, and it’s no simple task, but seam welding can be very effective. 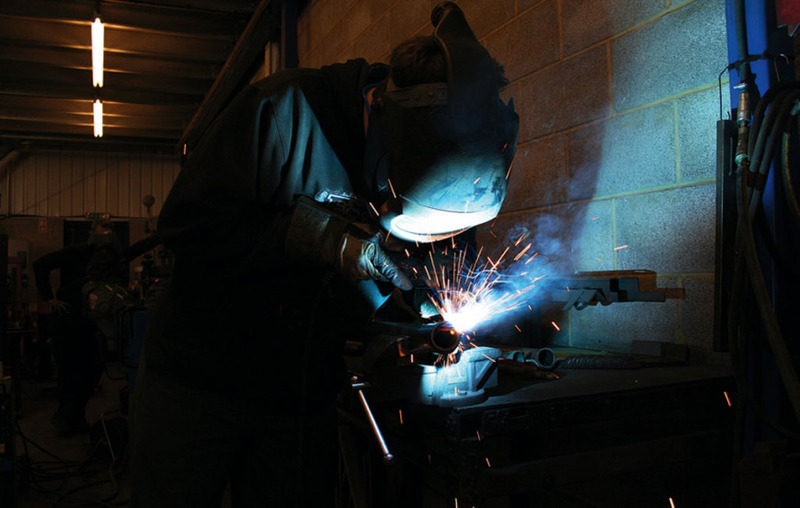 It involves adding spot or stitch welds (never a complete solid weld) along the joins of various parts of the car’s chassis, particularly around the suspension mounting areas, to drastically stiffen the chassis. To seam weld a car it needs stripping right back to a bare shell, even the sound deadening and seam sealer would need to be scraped off. It’s no easy task, and for that reason it’s rarely done outside of full race builds. On many cars with rear suspension springs mounted separately to the shock absorber, fitting coilovers can mean hard use can over-stress and weaken the suspension mounts so much that they can deform, and in extreme examples even totally separate from the chassis. Because of this it’s not uncommon to weld reinforcement plates around rear suspension mountings on certain cars. Another issue that can happen is the rear diff mounts literally being ripped out the chassis. It sounds pretty extreme, and it can cause serious chassis damage in some cases, but it can almost always be repaired and strengthened so it never happens again. No, I’m not joking, I’m serious, and is something done to road and race cars alike. Using heavy-duty expanding foam that sets rock solid, it’s been known for racers to fill their sills, frame rails, A/B/C pillars, and any other void in a cars chassis with the stuff. It’s invisible, doesn’t weigh much, and adds a massive amount of rigidity to parts normally almost impossible to add strength to. Unfortunately it also makes them far harder to repair in the event of a cash, and as a potential water trap it cause rust issues too, so it’s not a perfect solution! 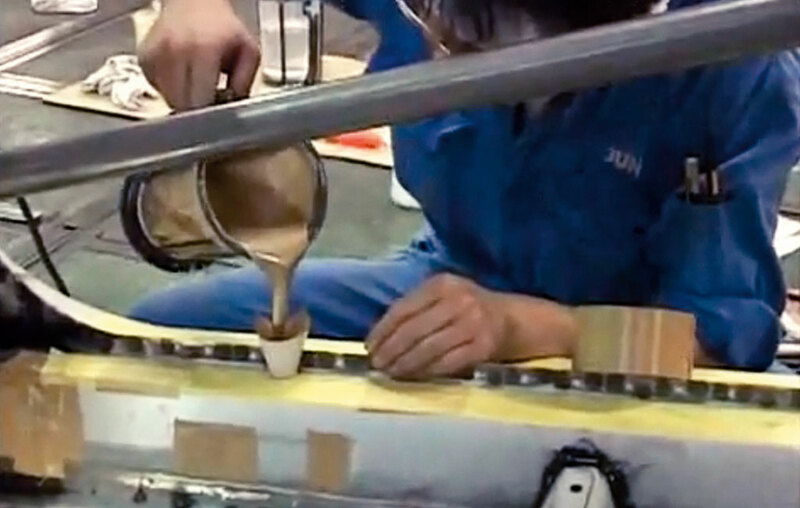 You can see the foam pictured here on sale at JUN Auto in Japan on this link. Yes, it’s true, and what I mean by that is although a lighter car accelerates, brakes, and corners, faster, if you noticeably sacrifice chassis rigidity in the quest for lightness you might end up with a dog of a car with terrible handling and grip. 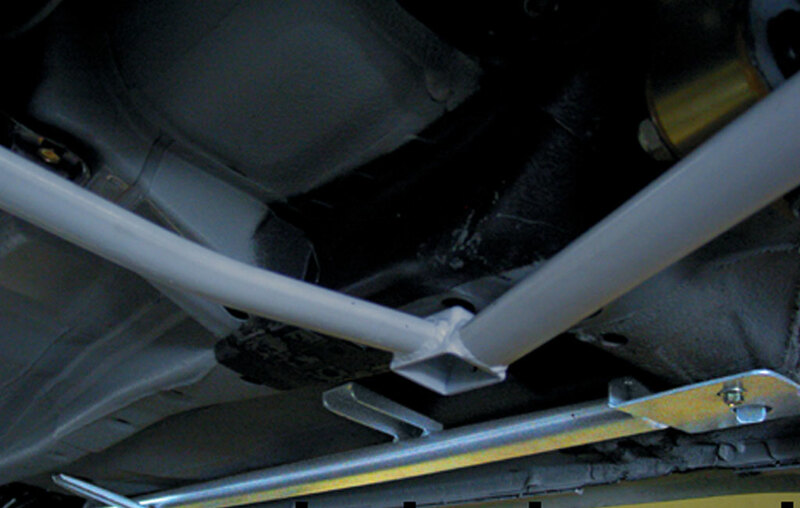 The general rule is don’t cut parts away in front of the rear suspension mounts, or behind the front suspension mounts, unless you have fitted something else to keep the rigidity, and be really careful that nothing you remove, no matter where it is on the chassis, contributes to the chassis strength. Cutting the roof off a car without already fitting suitable bracing, or even simply cutting away the metalwork between the interior and the boot on many convertibles, is enough to make the chassis sag so much the shell becomes pretty much a write-off. If in doubt, consult a fabrication shop who has experience on preparing and repairing race cars, especially those who have years of experience fabricating roll cages for competition use in multiple disciplines.